IF YOU HAVE WORDPRESS OR ANY OTHER PLATFORM INSTALLED ON YOUR MAIN DOMAIN THEN YOU CAN’T UPLOAD FSB TO YOUR MAIN DOMAIN. YOU MUST USE THE SUB-DOMAIN OR SUB-FOLDER METHOD BELOW. You will need to have a empty database setup to use for this new installation. CLICK HERE TO SEE THE GUIDE ON CREATING A NEW DATABASE. 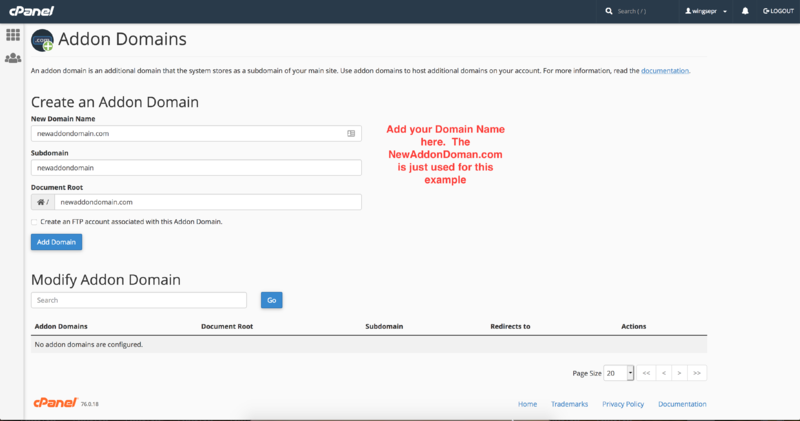 THIS GUIDE IS ONLY FOR INSTALLING YOUR STORE ON A MAIN DOMAIN. IF YOU WANT TO INSTALL IT ON YOUR ADDON DOMAIN, SUB-DOMAIN or SUB-FOLDER, CLICK THE GUIDES BELOW. HOW TO INSTALL FSB = ADDON DOMAIN. 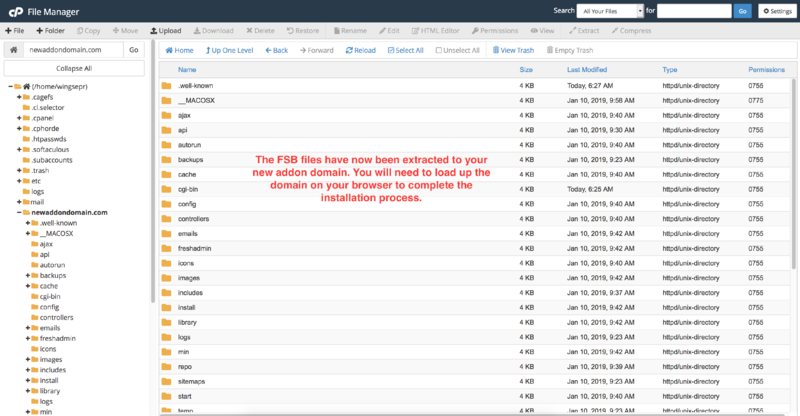 HOW TO INSTALL FSB = SUB-DOMAIN. 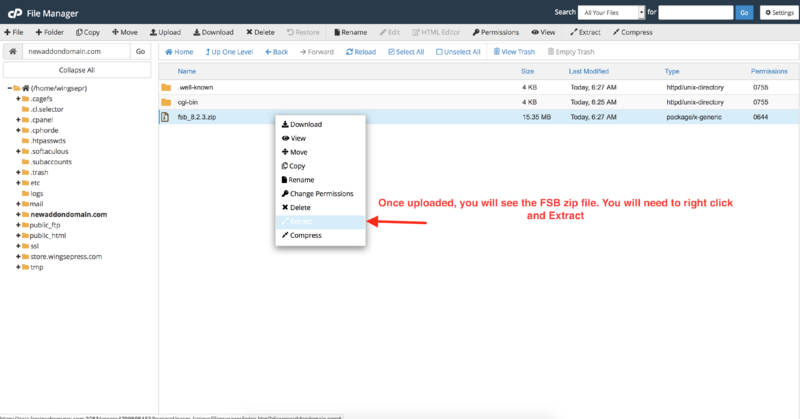 HOW TO INSTALL FSB = SUB-FOLDER. 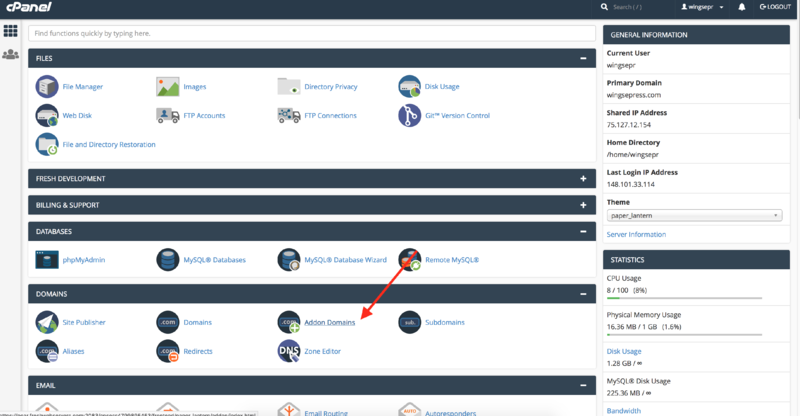 You will need to setup the domain in your hosting account by finding the ADDON DOMAINS icon. Once you are on the ADDON DOMAINS section. You will see a list of all your addon domains. 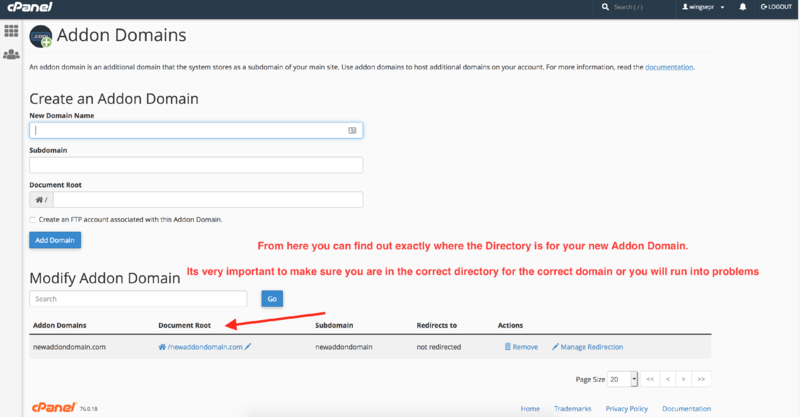 If you have already added the your addon domain, then you just need to click to go into that directory, if this is a new domain, you need to add it below. Always confirm that you are in the correct directory before uploading or modifying any files. 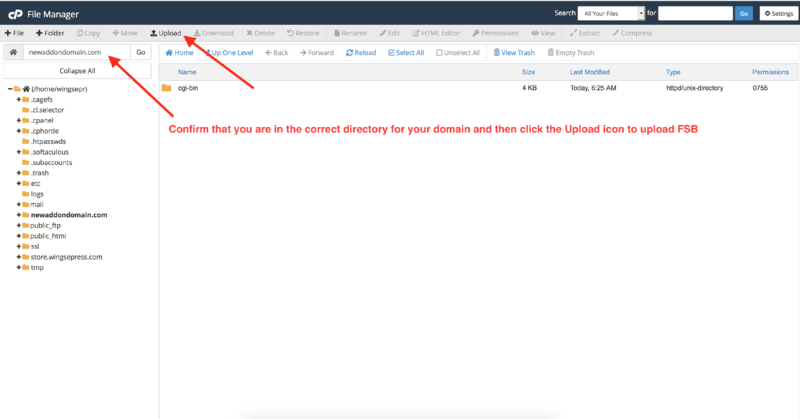 If you upload the files to the wrong directory, it will not work or you can break another domain. You will then click the Upload icon. Find the FSB script on your computer and upload it. Now you will see the script uploaded in your directory. You need to right click and click on Extract. It will ask you to confirm the directory you are uploading in. 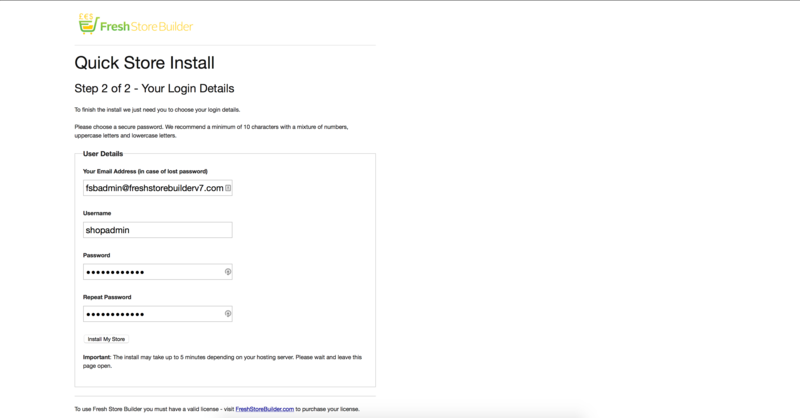 You just need to enter your new database information below. Where it says “localhost”, 99% of the times you will just leave that default text. Some hosting providers store your database on a different server. They will provide you with the Database server url that you will need to replace where it says “localhost”. 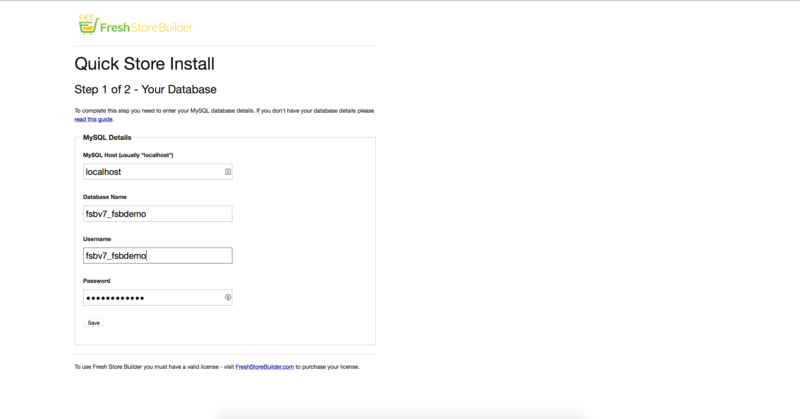 First try “localhost” and if you are getting error messages and are 100% sure you entered the full Database name and the full database user with the correct password, then double check to make sure your database isn’t hosted on a different server URL. The information you set below will be used to reset your stores control panel password. 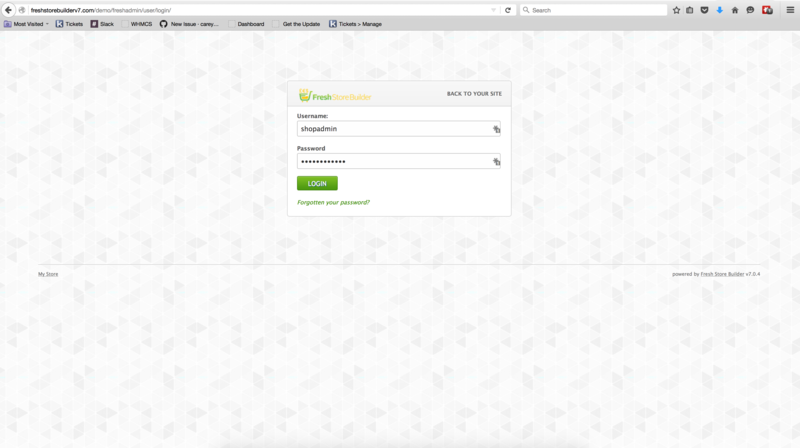 You will also set a username/password for your control panel admin section. 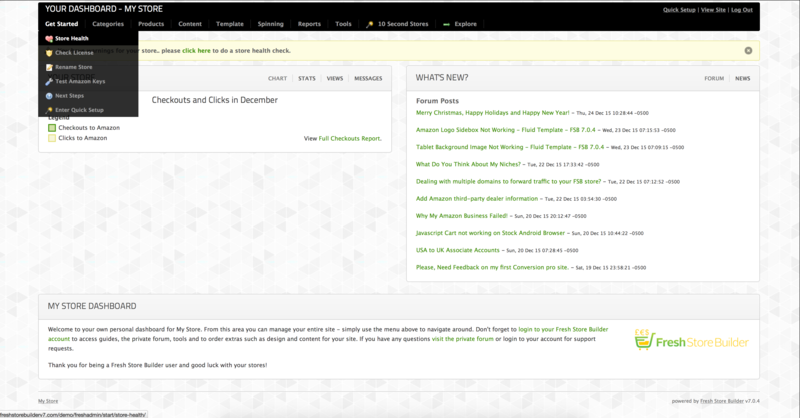 Once you have logged into your freshadmin control panel, click on Get Started and then Store Health. That is where you will be able to setup your Amazon API keys, tracking id and also make your store live when you are ready to go.